While dental implants can offer the ideal solution for people with missing teeth, they may not be suitable for everyone. But that doesn't mean that you can’t have great fitting, natural looking dentures that provide you with self-confidence and self-assurance. Biofunctional Prosthetic System (BPS Dentures) is an exciting new premium denture specifically designed to fit your active lifestyle. BPS denture gives you the ultimate fit and comfort you require, along with the superior beauty and life-like appearance you want. Biofunctional: The most important demand on your denture is to reproduce the functions of your natural teeth. The impressions and records for BPS dentures are taken in such a way as to make your bite as comfortable as possible giving you new-found confidence during eating and speaking. 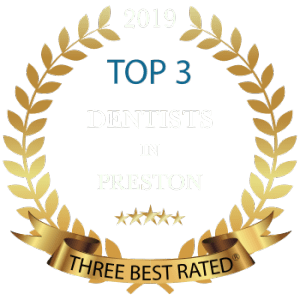 Prosthetic: BPS dentures are extremely high quality and only a small number of dentists are authorised to make your denture after thoroughly analysing your individual situation. System: BPS dentures are made from specialised materials after excellent cooperation between cosmetic dentist and specialist technician, using optimum analysis of your jaw shape and movements. This ensures the most natural and comfortable result possible for you. Your premier cosmetic dentures are individualised to look more like you original natural teeth. This means, for example,individual shades, shapes and stains can be used so that instead of just having white, regular, false looking teeth, your dentures can have a true to nature, individual appearance. Emotional and Psychological Health – Ill-fitting dentures can make it difficult and embarrassing to speak and socialise. Oral Hygiene – Improperly processed dentures can harbour bacteria, which can weaken the denture and lead to bad breath. Joint and Jaw Disorders – Excessive denture tooth wear may cause improper fit which can upset the jaw mechanism. Premature Ageing – Inferior dentures wear excessively and can lead to wrinkles around the mouth and cheeks. Poor Nutrition – A denture that doesn't fit properly can make it’s wearer unable to chew food properly. For her: Denture teeth are delicately positioned to enhance femininity and blend perfectly with facial features. 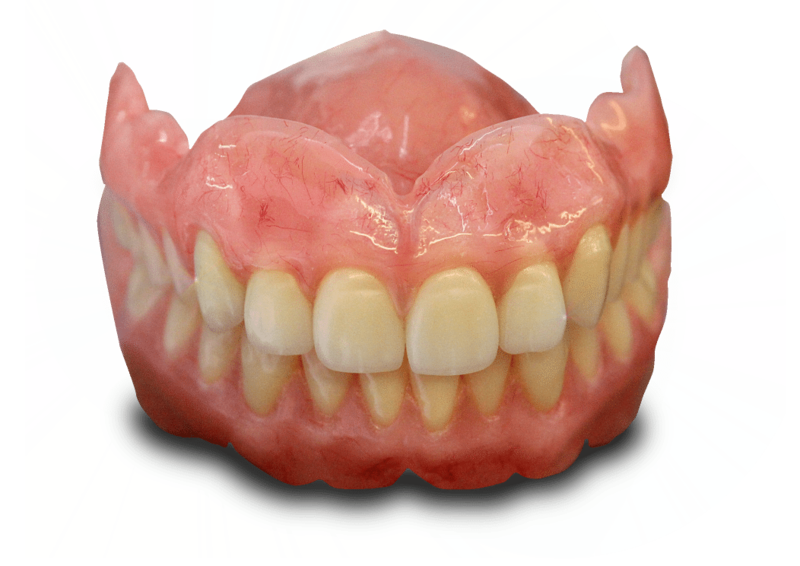 For him: Denture teeth possess strong characteristics and are positioned boldly to provide a more masculine appearance. When teeth are present and in good position, the lips and cheeks are properly supported. If the teeth are lost and not replaced, part of the facial tissue support is also lost. 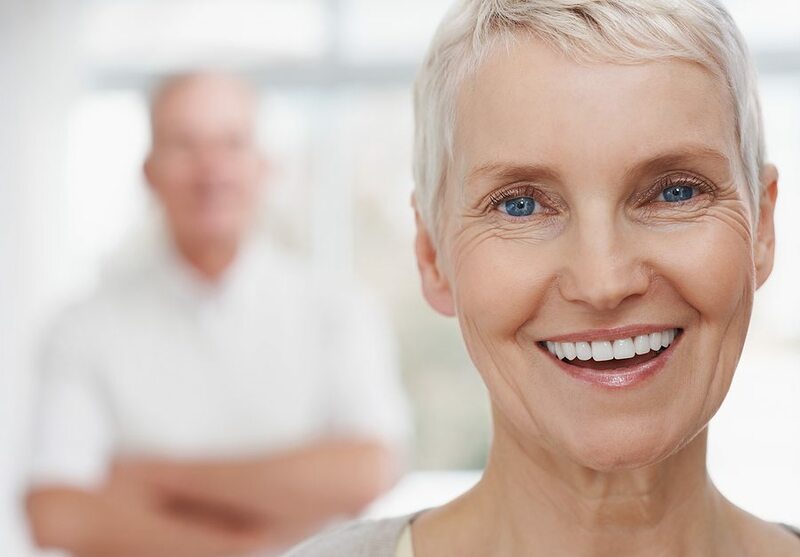 One of the primary advantages of the BPS denture is its ability to maintain or even re-create lip and cheek support, creating a more youthful face.